The new Happy Prince musical based on Oscar Wilde's iconic children's fairy story is to be workshopped at The Place in King's Cross on 3rd and 4th May. The showcase will have lighting by David Howe and choreography by Hurdley and Archer, the piece is set in an unpleasant 1920s laundry house located in a town where a despotic mayor drives the citizens into bankruptcy and ruin. Drawing parallels to the world today, walls are being built to divide societies, so the Statue of a Prince, trapped behind the walls of his own palace, must win over the heart of a Swallow to save his people. The Prince is troubled by the poverty and suffering surrounding him. He persuades the Swallow to become his messenger and distribute his treasures to the townspeople who are most in need. In a race against time, and as the Swallow gradually removes his sapphire eyes and his gold leaf, outwardly the statue looks dull and shabby but the Prince is inwardly renewed and freed of his torment. 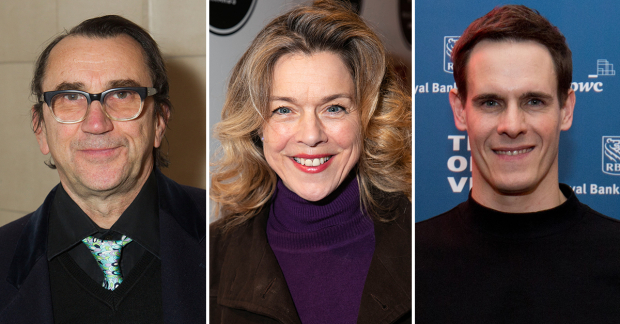 Appearing in the three showcase performances will be Janie Dee (Follies) as Mrs Bentley , Phil Daniels (A Very Very Very Dark Matter) as the Mayor, Sophia Hurdley (New Adventures company member) as eh Swallow and Sam Archer (Wise Children) as the Prince with David Burt, Louis Gaunt, Sammy Graham, Jessica Pardoe, Edwin Ray, Ronald Samm, Cilla Silvia, Gemma Wardle and Alfie Wickham. 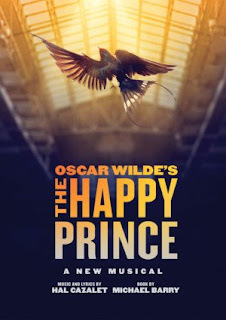 Cazalet said: The Happy Prince is a fairy tale for today and as Oscar Wilde intended, for both adults and children alike. I can't help but feel that the Wildean themes of greed and corruption set against the redeeming power of love and sacrifice are every bit as relevant and urgent in our present world, as when Wilde wrote the story in 1888.